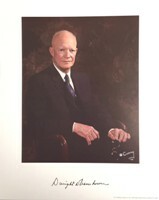 In August 1954, former State Department official Dudley Kirk wrote his friend Gabriel Hauge, Administrative Assistant to President Eisenhower. 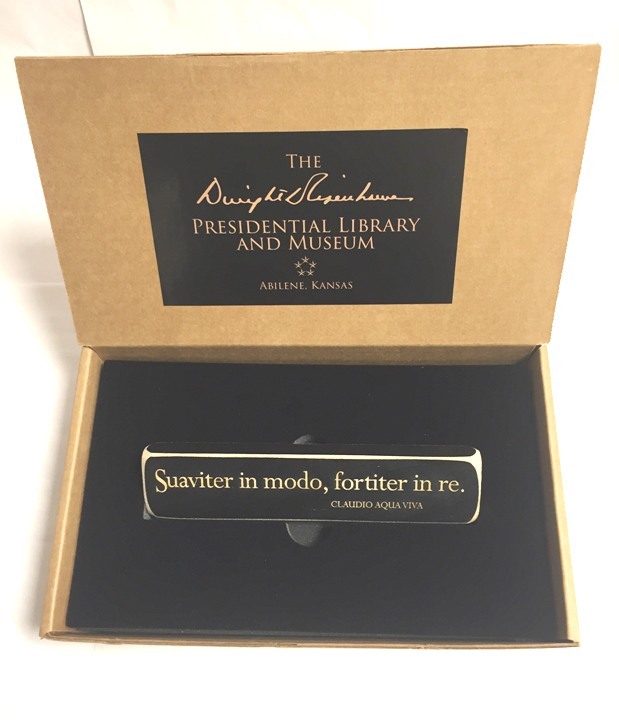 Kirk’s letter closed with a hope that Hauge was “helping to justify our motto for the President – ‘Suaviter in modo, fortiter in re.’” Hauge wrote to Ann Whitman, Ike’s personal secretary, suggesting she mention the motto and its translation to Eisenhower. She verified the translation and origination from a 1606 treatise by Claudio Aqua Viva, a Jesuit priest. 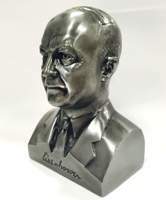 The Eisenhower Presidential Library holdings provide insight into Ike’s extraordinary leadership and legacy. 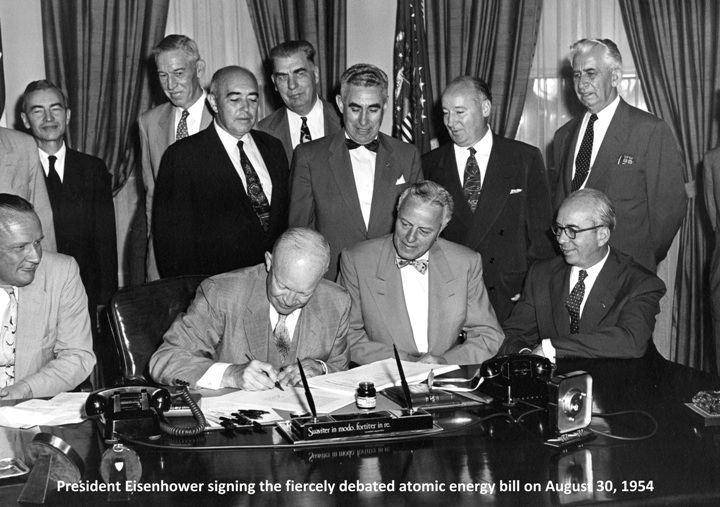 With over 26 million pages in the archives, there are countless research topics available. 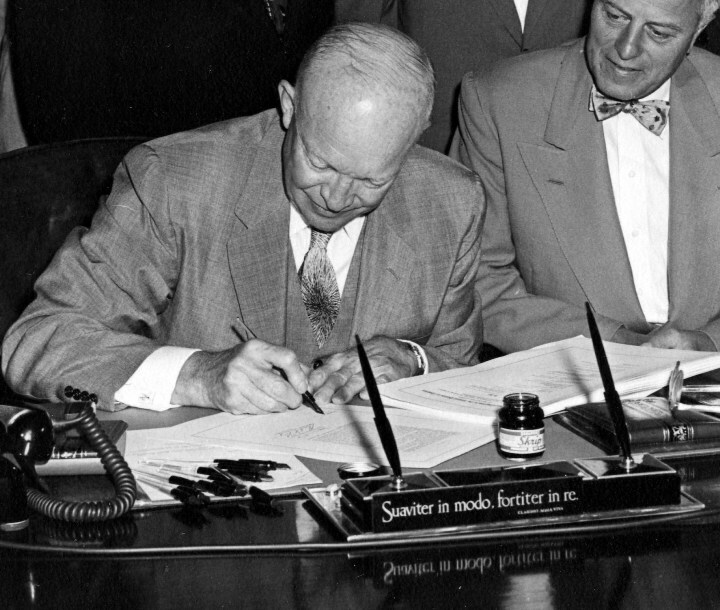 The history of Ike’s desk plate is just one example. 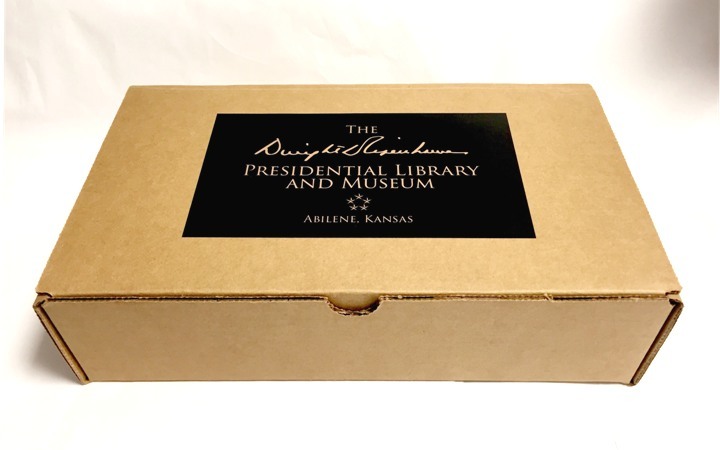 For more information on researching the holdings of the Eisenhower Presidential Library, please visit www.eisenhower.archives.gov. Made of wood sandwiched by black matte board, the original Desk Plate bore gold lettering. Our replica is close to the original’s dimensions, but in re-creating it we decided to use only wood so as to provide you with an artifact that would not only be a source of daily inspiration, but would also be durable as well. We think it will be a handsome addition to your desk or book shelf. The Desk Plate’s dimensions are 8” x 1-3/4”x 3/4”. 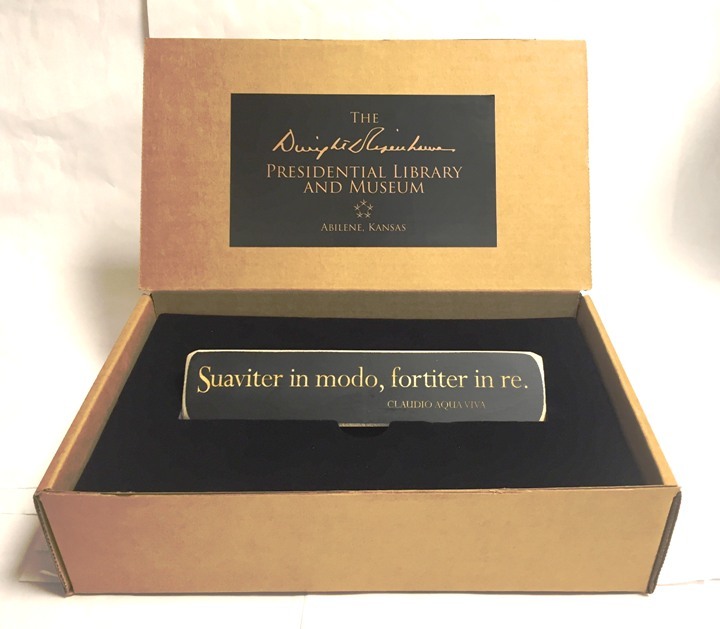 Please click on "More Pictures" to see larger views of the Desk Plate, it's packaging, and pictures of President Eisenhower at his desk with the Desk Plate in front of him. this is a great, quality item. like the quote and it's a good reminder for each day.